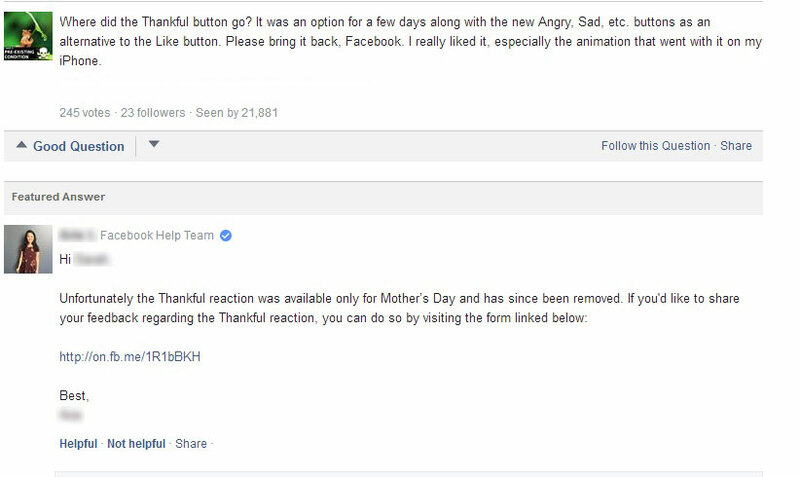 Facebook’s Thankful and Grateful Reaction for Mother’s Day and much more! Mother’s Day is round the corner and Facebook just wants you to to be Thankful for it! Or Grateful. Depending on what device you are logged in on. Yes, we are talking about the ‘flower’ that accompanies the other six reactions on Facebook today. It’s the Thankful/Grateful reaction. If you were wondering what that was all about, it’s Mother’s Day. 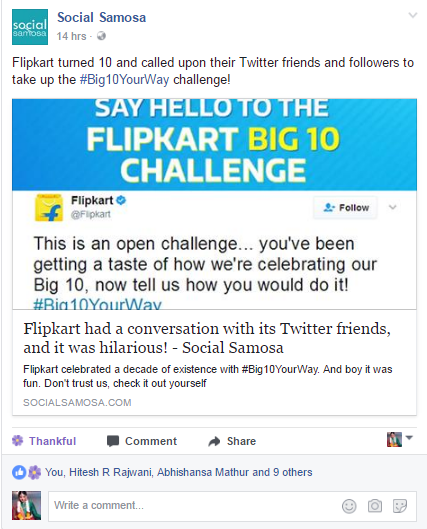 If you follow a lot of International Facebook Pages, you may have noticed the Thankful Reaction or the Grateful Reaction, curious to know how and why! Well, it has been spotted by Indian users today. There has also been something interesting. 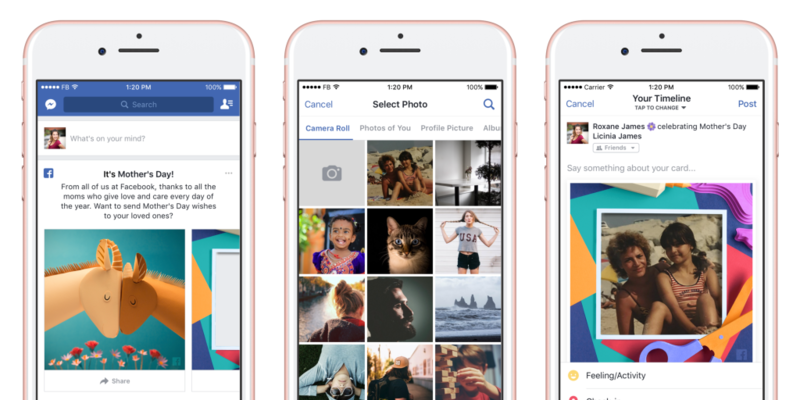 Facebook Mobile users are seeing the word ‘Grateful’ when they use the Reaction, and Facebook Web users are seeing the word ‘Thankful’ instead. Why? We are not quite sure about this one. 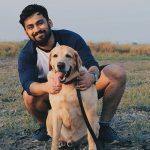 Although, Mother’s Day seems to be a really important day for the social networking giant, and expressing your love towards all the Mothers out there is paramount. Which explains why Facebook rolled out an exclusive Reaction for the occasion. Also, as soon as you are done celebrating Mother’s Day in your country, the Reaction will cease to exist for you! 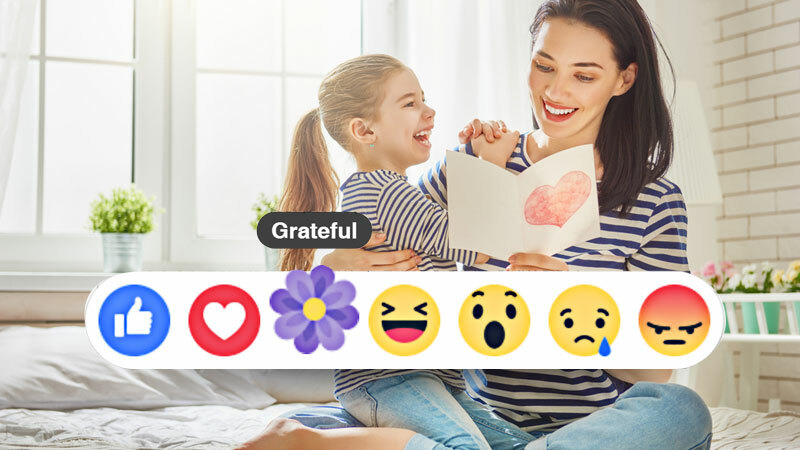 You can send a card to Mommy dearest and wish her a Happy Mother’s Day on Facebook, on her Timeline or as a Personal Message. Facebook Mobile users can add a picture too. You can also use the Facebook Camera and have some fun with frames and masks that have been designed exclusively for Mother’s Day! All of this of course depends on whether or not your mom IS ON FACEBOOK, and one would wonder why not just see your Mom in person since it is Mother’s Day after all. If you are in a different city, I guess that could be excused, although a Facebook post or picture is simply a means to have fun, an addition to the very personal Skype or phone call that you should make. Just saying. Well, go on then. You have lots of preparations to do. Gifts to buy. Messages to write. Feelings to express. Make it a good one for Mother’s Day! 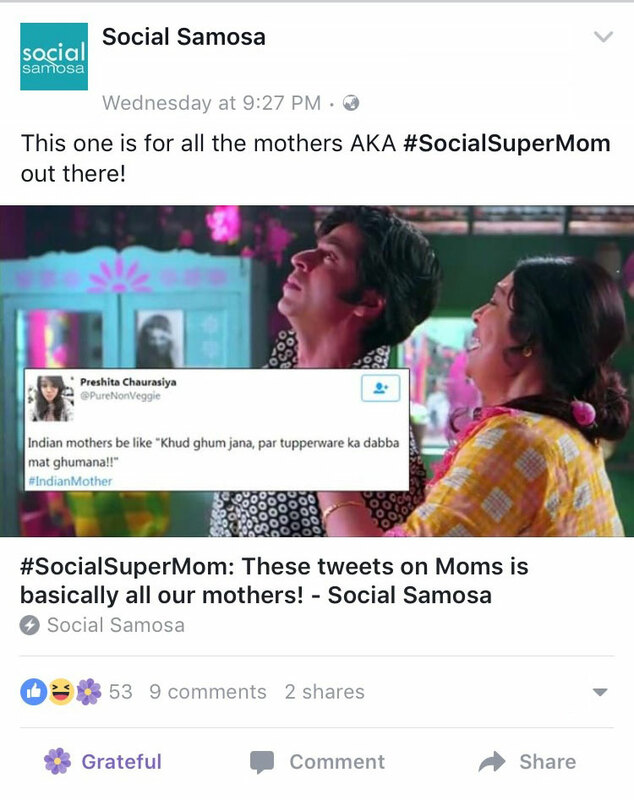 Follow our theme #SocialSuperMom for more Mother’s Day articles that you would love to share and discuss with Mommy dearest.